So you want a Sandal that looks like it can handle the great outdoors, as well as providing tons of comfort and support. But you also don’t want to look as if you’re wearing some form of surgical support. What do you do when you want it all – easy walking, proper arch support, decent traction and something that will blend into your wardrobe without offending the eye? Well, you turn to Merrell for answers. Out of all the footwear manufacturers, Merrell are the ones that really understand the spirit of the outdoors and adventure. But they also know how to look after our feet as well – and when we are talking women’s fashions, particularly shoes, we all know that sometimes comfort is not the manufacturers first priority. And if it is, the ensuing result is not necessarily something that we want to be seen outside wearing! Luckily with these Hollyleaf Sandals by Merrell, you can have both. From a purely aesthetic point of view, these sandals are looking good. More decorative than a lot of flip flop style sandals – although we are not entirely sure if these come into the flip flop category – these are soft looking shoes, made from both leather and textile materials. The upper is a combination of leather and textile, which are blended together with a toe ring. There is also a trim on this, with a braid, which lifts these out of the ‘functional’ category and puts them firmly into the ‘fun’ one. The upper also has a decorative pattern across the top, as well. Whilst the underside of these soles has a floral design on them, to add to the overall appearance. All in all, these are pretty – but not too delicate, to countenance wearing in the great outdoors. Color wise, there is a decent amount of choice for these open toe sandals. None of the options available can be seen as ostentatious exactly, but they ought to blend into most things that your wardrobe can throw at it. The colors available are Black; which are black, Bracken; which are a shade of light brown; Dark Purple, which do what it says on the tin, Rose Red, which seem to be a pinkish shade of red, Fuchsia; which are a darkish red color, Teal; which are a lighter shade of blue with a streak of light green to contrast with, Taupe; which are a light shade of taupe and finally Bering Sea, which are a bit hard to describe, but seem to be a mixture of blue and gray. If you look on the reverse, there are a decent set of grips on these sandals, which set them apart from a lot of lesser flip flops and flimsier sandals. The soles feature a ‘M’ Select grip sole. This means you aren’t going to be skidding around when you go poolside next summer, or on your holidays this winter. The midsole is constructed from memory foam, which we think ought to make it as comfortable as it looks and features a breathable lining, to prevent sweat and sticking to the shoe. The actual shape of the sandal sole itself lends itself well to providing a decent amount of support for your feet. Because we know that sometimes sandals and especially open toe ones – let alone flip flops, are hardly the most supportive of things to put your feet into, we are especially hopeful that these Merrell Women’s Hollyleaf Sandals will be as comfortable as they are practical and stylish. 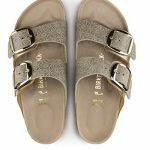 Finally, for a more secure fit, these Hollyleaf Sandals also feature a toe ring, which should rest snugly around your big toe, but without causing any chafing. Ready to try them on? Like a lot of sandals and flip flops, these Merrell Women’s Hollyleaf Sandals only come in a standard fitting and are only available in a full size. That said, there is an 81% approval rating with the accuracy of the fit, so we think that there is a very good chance you should be able to find the right size for you, without any ado. 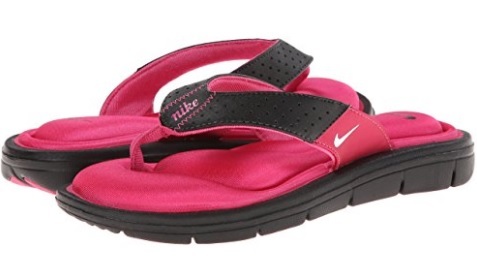 The sizes that this sandal come in are pretty average, spanning a size 5 to an 11. We think that most women’s feet ought to fit somewhere on that spectrum quite easily. A small minority think that these are possibly a little on the small side, but this is not the experience of the many satisfied customers. It is something to bear in mind if you are a half size, however – sizing up in those cases might be the better bet. Likewise, if your feet are extra wide, going large might be the better option of the two. As we have already said, these are a comfortable sandal. With the memory foam midsole and soft upper, we don’t anticipate too many problems with breaking these sandals in. An impressive 78% of customers gave these the thumbs up all the way – in other words, scored them five stars for satisfaction. We are confident that you will find these sandals both easy to wear and walk in. 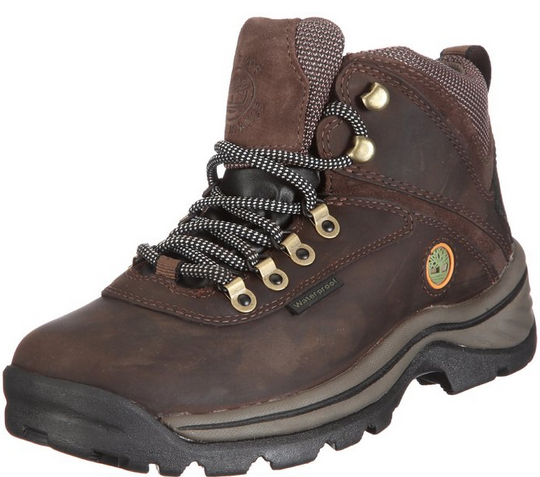 Like all Merrell sandals, the Hollyleaf was designed for outdoor actions. However, we would caution against getting these completely muddy or soaked, as the memory foam insole may make them a little harder to dry out. Rest assured they will dry out – but it might not be instantaneously. In terms of care, these can be hand cleaned carefully with a brush, some warm water or a sponge. Products like Nikwax can also be used to clean them successfully. Although these are by no means cheap, we think that the Hollyleaf Sandal by Merrell should not disappoint and are an ideal companion on holiday, or just for everyday wear during the warmer summer months!